Thanks to its rich and vibrant theatre community, both on Broadway and Off (and Off-Off-Off), the New York City area offers a wide array of accessible and impressive prop shops, prop houses, and props vendors both within Manhattan, and within delivery range in the surrounding areas, from Connecticut to New Jersey. Following is a guide to some of those prop resources, along with helpful links, and a brief description of what they offer. Read on! Description: Eclectic / Encore Props Inc. is one of the largest prop rental companies on the East Coast, with registration required for full access online to inventories and rental requests. Open Monday through Friday, 9 a.m. to 5 p.m. Description: Founded by Matt Hennessy, Bridge Furniture & Props in Brooklyn rents props and furnishings on both a short-term as well as a long-term basis, and also occasionally sells furniture to the film and television industries. Bridge offers an inventory of modern as well as traditional furniture, lighting, decorative accessories, and area rugs, with all items photographed and indexed on their website. Categories include: Seating, Tables & Case Goods, Dining Room, Bedroom, Office, Lighting, Cleared Art, Accessories, Outdoor Furniture, Rugs, Noteworthy Brands, and more. Description: The Demolition Depot and Irreplaceable Artifacts™ provides a unique source of vintage plumbing fixtures, doors, windows, shutters, railings, gates, grills, mantels, stone and terracotta pieces, religious objects and more. Its fixtures "are geared towards the re-creation and renovation of period places." Irreplaceable Artifacts™ meanwhile features the finest in architectural ornaments. The company is also passionate about preserving architectural history, and this "has led us to reclaim building elements at an unprecedented scale," according to its website. Store hours are Monday through Friday, 10 to 6 p.m., Saturday from 11 a.m. to 6 p.m., and Sunday from 12 p.m. to 5 p.m.
Mon-Sat 10 a.m. to 7 p.m. Description: With Olde Good Things, discover one of the largest architectural antique dealers in the country, with four separate store locations filled with doorknobs, hardware, doors, mantels, decorative iron, stained glass, terra cotta and more. The company also offers a warehouse of over 100,000 square feet, filled with reclaimed materials and antiques, as is its 3-acre exterior. Hours are 9 a.m. to 6 p.m., Monday through Friday and Sundays from 10 a.m. to 6 p.m. The inventory includes antique and architectural artifacts from "many late nineteenth century and pre-depression buildings, saving them from the landfills, and making them available to collectors and designers everywhere." Categories include Architectural, Mirrors & Tin Creations, Furniture, Garden Antiques, Lighting, Machinery, Famous Building Artifacts, and more. Description: Evolution is famous for its inventory of unique items for sale in such categories as Insects, Fossils, Taxidermy, Replica Skulls, Skeletons & More (as well as Real Skulls and more), Posters, Anatomical Models, Jewelry, Minerals, Sea Life, along with natural history collectibles and more. Hours are 11 a.m. to 7 p.m., every day of the week. Description: Arenson's services and support options include Product Offerings, Office Furniture Rentals, Props, Warehouse / Delivery, Installation, Maintenance, Online Services, and more. 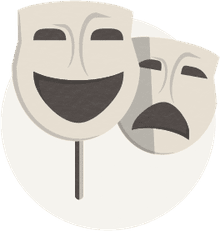 Description: Mod Prop offers an easy way to rent modern furniture props and accessories for film, photography, video, or theatre sets, shop windows and more. The company will even assist with layouts and designs, and in addition to props, also rents locations and picture cars. Mod Prop serves New York City and the surrounding metropolitan area and is able to ship to a variety of locations nationwide, from Washington D.C. to Boston, Atlanta, and more. The company's inventory is available for browsing via the Internet, with reservations placed easily via e-mail or telephone. Description: Anything But Costumes is a full-service prop rental house from "all eras," for stage and film. 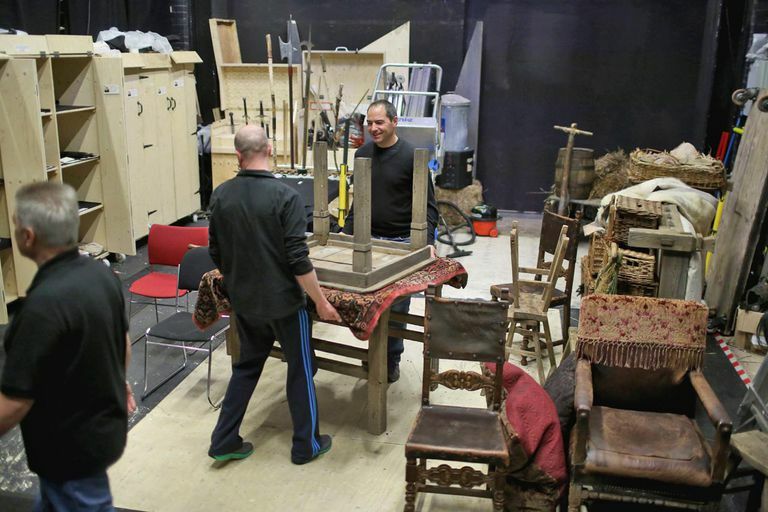 The company's four warehouses store props, furnishings, and set dressing elements including rugs, lamps, chandeliers, tableware, linens, knickknacks, pictures, and additional set accessories, as well as hand props. Description: Props for Today offers nearly a million items, ranging from sectionals to flatware, and from antique to ultra-modern. Their showroom is open from Monday through Friday, from 8:30 a.m. through 5 p.m., and offers complimentary food and drink, access to phones, wireless internet access and more. Description: Located in Chelsea, Lost and Found Props offers a well-curated collection of tabletop, furnishings, surfaces, accessories, and more. Owned by Robyn Glaser, a prop stylist and set designer, the eclectic collection ranges in style from classic designs to the unique, to the obscure - from office supplies (vintage and modern), to taxidermy, medical models, vintage telephones, and more. Props can be viewed online or in person, from Monday through Friday, from 9 a.m. to 5:30 p.m.
1361 Amsterdam Avenue @126th St. Description: Founded in the 1930s, State Supply Equipment and Props began as a hardware store in downtown Manhattan, and has since evolved over several decades into a props provider with a 45,000 square foot showroom, supplying props, set dressing and expendables to theatre, commercial, and film and TV industry notables, as well as themed events. The company notes that it provides everything from "barber chairs to beach chairs, hot dog carts to shopping carts, lampposts to hitching posts, newsstands to music stands," and more. State Supply offers props for all types of interior and exterior settings, period and contemporary, as well as one-of-a-kind items elsewhere. Hours are Monday through Friday, from 8:30 a.m. to 5 p.m.